Eva Lewis began her career at the age of 16 on the London stage appearing in critically acclaimed West End Musicals Catch My Soul and Black Mikado. Her acting career graduated to the silver screen and she later became a household face appearing in numerous television productions for the BBC, ITV and international brand commercials. Eva evolved to match her stylish presence with intellectual substance exploring an interest in “behind-the scenes” beauty and cosmetic techniques whilst lecturing Information Technology at Kensington & Chelsea College. She wrote and created a successful on-line teaching course and also worked as a Life Coach. In 1995 Eva was given her first Public appointment as a member of the Consumer Panel chaired by the Minister of State. She served the maximum term of 5 years. Eva advised on matters of public importance including consumer transparency. Eva wrote many papers on various areas of food concerns and her term was extended until the inception of the Food Standards Agency. Between 1998 and 2008, Eva served a maximum term of 10 years on the Advisory Committee on the Microbiological Safety of Food (Department of Health) focused on the risks of lethal bacteria within the food chain on the health and welfare of the British public. Amongst other ACMSF appointments, Eva was a Member of the Working Groups on Botulism in Sheep, Mycobacterium bovis in Cattle and Campylobacter. She was also a member of the ACMSF groups on Infant Botulism and the Risk Assessment Working Party Group. Eva has advised on the Women’s Manifesto group for the Conservative Party and is dedicated in her support of all issues concerning women. In 2004, Eva formulated and launched the innovative Monochrome Body and Soul brand as an exclusive spa and retail in the prestigious Duke of York Square development. In 2007, Monochrome relocated to a private town house in Holland Park and later to a smaller location opposite South Kensington tube station better suited to a loyal celebrity clientele. Eva’s Monochrome Skincare, now based in Chelsea is focused on Aesthetic Therapy and innovating within the clinical beauty market segment. Eva is School Governor and into her tenth year for The Lord Harris Academies Merton and Morden, also a 6th Form Governor and previous Child Protection Governor. Her life and work are a commitment to serving the British public in diverse areas of life, consumption and wellbeing. Eva facilitated the Desmond Tutu Federation Ubunto Project Roundtable for Young Offenders and introduced them to the Lord Harris Academy in Rainham which led to a successful appointment of a small group of young leaders who would act as Ambassadors. 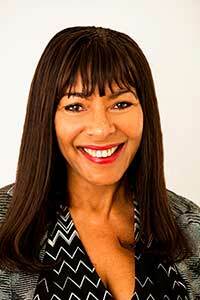 In 2018 Eva was appointed a Director and Trustee of The National Consumer Federation.